As the wrangle for control at Debenhams by House of Fraser and Sports Direct owner Mike Ashley continues following news that the department store chain has secured funds for its £200million refinancing plan, Moodys downgrades Debenhams credit rating. Influential credit rating agency, Moodys announced yesterday that it had made the downgrade for Debenhams on the basis that “a balance sheet restructuring involving losses for financial creditors looks inevitable”. Meanwhile, House of Fraser boss Mike Ashley is encouraging Debenhams shareholders to rebel against the refinancing plan put forward by the board, saying it has been contacted by a number of other stakeholders regarding the protection of their interests and “expressing their support” for the appointment of Mr Ashley as Debenhams CEO. The business, which owns a 30% stake in Debenhams is urging shareholders to write a letter to the board to make their views known directly to Debenhams, and has provided a template for interested parties to use. As a concerned shareholder in Debenhams plc, I have watched with increasing concern the board continue to ignore the interests of its shareholders as it has sought new banking facilities from its existing lenders and Noteholders. In particular, I was gravely concerned by your statement on 22 March 2019 where you acknowledged that under your current course of action, there was an increasing possibility that the entire equity value for the Company’s current shareholders would be wiped out. I am therefore writing to demand that the Debenhams board takes immediate steps to install Mike Ashley as CEO, as clearly there is no time to wait for a General Meeting to be called in order for this to be effected by shareholders. Last month, Debenhams announced that it had secured funding of £200million, which “would provide liquidity headroom” in new loans from existing lenders and “deliver stability for its customers, staff, suppliers and pension-holders”. This refinancing plan provides the retailer with facilities of £101million and £99million, and includes the £40million to replace the interim borrowing it announced in February. In its statement, Debenhams explained the first £101million would be drawn down immediately, with plans to now move on to the second stage of its restructuring plan, which includes cutting overheads, with store closures and a reduction of reducing rents on remaining sites. Debenhams has given Sports Direct and any other shareholder holding a stake of 25% or more until April 8 to either make a firm takeover offer for the retail business, which includes “satisfactory arrangements to refinance the group debt”, or commit to providing funding for the business or underwriting the issue of new shares. 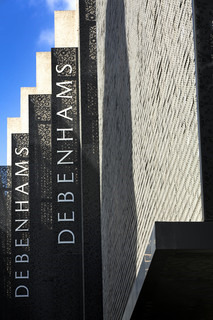 If these milestones aren’t reached by the deadline, Debenhams will only be able to access the remaining £99million facility “upon transfer of those subsidiaries into the ownership of a lender-approved entity”, which means Debenhams would hand over control to its lenders, and “would very likely result in no equity value for the company's current shareholders”, including Sports Direct’s 30% stake.